It's time for this week's Cupcake Inspirations Challenge and this week's challenge is a color one. 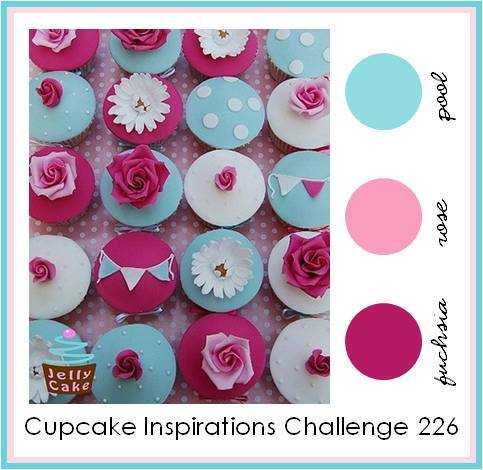 I've included the cupcake inspiration below and the colors are listed with the photo. We are sponsored this week by Digi Darla.This digital image company has been around for a few years now and has just grown by leaps and bounds. You will find plenty of images to color for sure. I colored my image with Copic markers and adorned it with some fun bling. 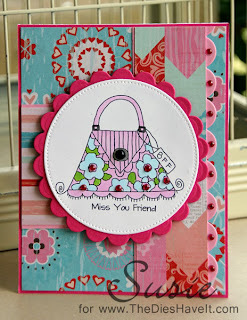 I plan to send it to one of my far-away friends this week.